Using money from both the City of Toronto and the local community, Mural Routes, a member-based not-for-profit arts service organization, has been restoring some of the murals along Kingston Road in Cliffside, with the help of Blinc Studio. Mural Routes is hoping to get more funding to complete the work on all murals in the area. 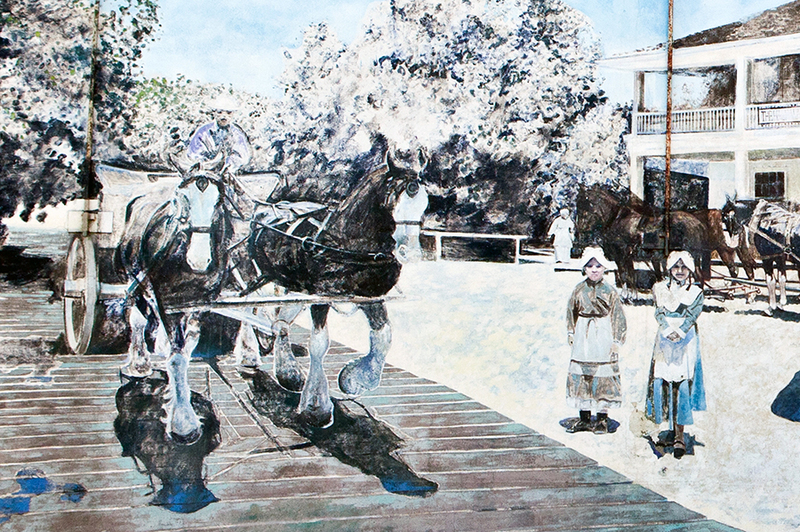 A mural needing funding is found at 2502 Kingston Rd., Mural #1, Halfway House by John Hood (1990). 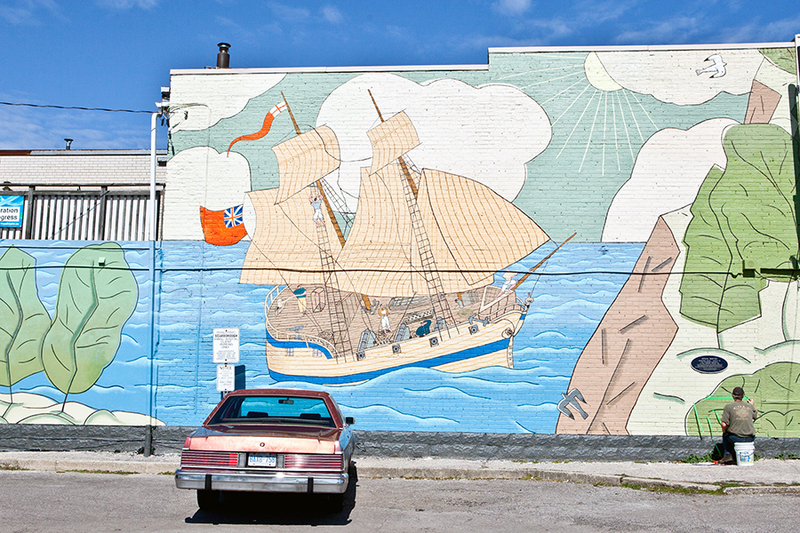 Blinc Studio’s Jieun Kim works on restoring one of the Mural Routes murals at 2348 Kingston Road in Cliffside. 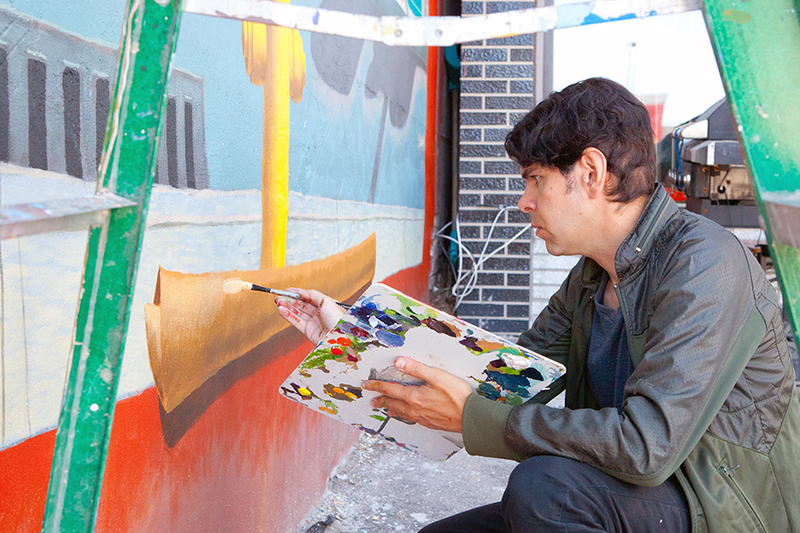 Blinc Studio’s Allan Bender works on restoring one of the Mural Routes murals at 2340 Kingston Road in Cliffside. 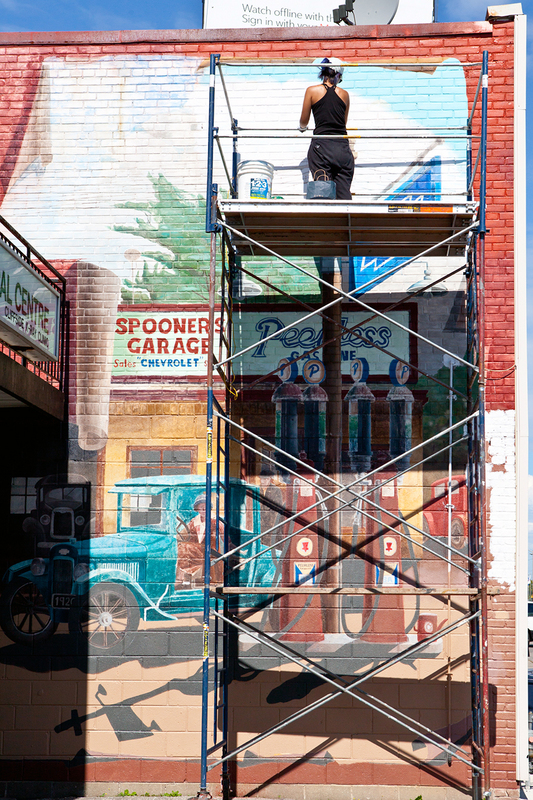 Blinc Studio’s John Nobrega works on restoring one of the Mural Routes murals at 2340 Kingston Road in Cliffside. Letters: Bike lanes, bike lanes, bike lanes!